The Spring 2016 issue of the Yards, Oliver and Downtown Edmonton’s magazine, featuring stories on why small retail makes better communities; Edmonton’s search for a chief planner; and how community gardens make help sow citizenship. Susan Forsey has two babies, and like any good mother, she pretends she doesn’t have a favourite. But she does. “You’re supposed to love all your kids equally, but this is my baby and I would have been happy with this,” she says, voice hushed, finger pointed at a reclaimed wood table in the corner of Cask & Barrel. 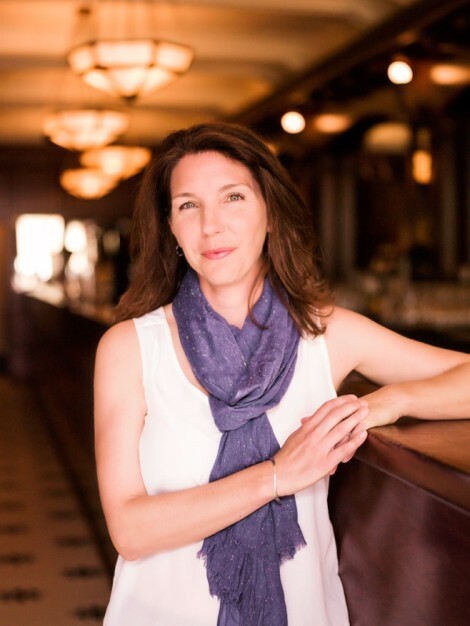 She and Wayne Jones, her partner in life and business, opened the 1,300-sq.-ft. bar in 2012 with the intent of providing good beer, wine and scotch to an older and refined crowd. 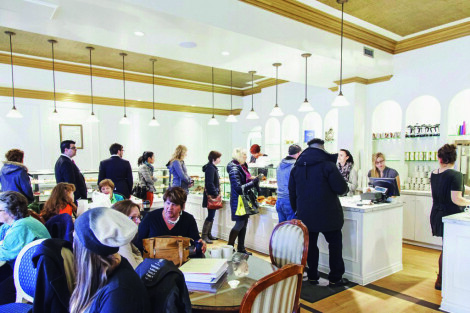 When it first opened in the Confederation Building on 104 St., Forsey was there every day, open to close. But nowadays, Cask’s bigger sister Rocky Mountain Icehouse gets most of her attention. In Edmonton’s core, where bigger appears to be better—bigger arena, bigger museum, bigger university—smaller isn’t just surviving; it’s thriving. Yet our streets don’t provide enough of these fine-grain, hole-in-the-wall businesses that let people like Forsey and Jones take a risk, succeed, then grow. Anyone who’s walked Toronto, Montreal or a great number of cities’ downtown streets knows the sight of a trail of sandwich boards—each one indicating another small business. On one side of one block you could enter and exit a dozen doors. The store bays are long and narrow. Their owners, usually behind a counter. There is, however, a movement afoot to rewrite this in the core, and Lisa Baroldi, co-founder of the urban networking vehicle Designing Downtown, can point to the cause: “You’ve got really creative entrepreneurs pushing developers in different directions and making demands to do different things,” says the Oliver resident. of that push, what with those residential towers’ podiums playing host to a variety of small retailers and restaurants. Soon Langham’s Fox Towers will repeat this exactly one block north. More offices and towers along 124 St. and Jasper Ave. are being built or retrofitted with small storefronts, but our core still lags behind most other cities’, to say nothing of the small bays available on Whyte Ave. just across the river. But if the dozens of cranes reaching over the skyline mean anything, it’s that big change is possible. AT NEARLY 20,000 SQ. FT., THE FORMER SOBEYS COULD FIT 14 CASK & BARRELS. BUT YOU COULD FIT TWO TZIN WINE & TAPAS INTO ONE CASK. AND AT LEAST THREE COFFEE BUREAUS. IT JUST DEPENDS ON HOW YOU DEFINE SMALL. But tripling the tenants could also triple the headaches, which is why many developers continue to develop sizeable spaces to attract tenants with sizeable reputations. Even then, it doesn’t always work out. 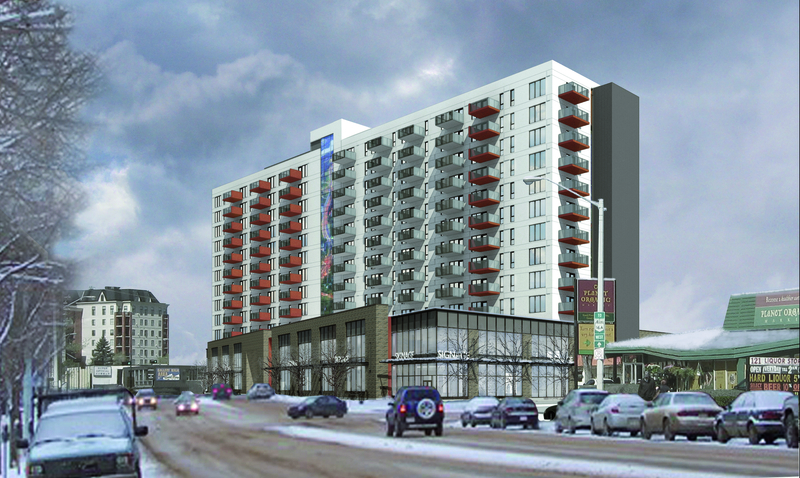 Slatter points to the still vacant Sobeys on 104 St., kitty-corner to Cask & Barrel, which closed in the summer of 2014, seven years into a 10-year lease. “All your eggs are in one basket in that sense,” says Slatter, who represents the landowner. At nearly 20,000 sq. ft., the former Sobeys could fit 14 pubs the size of Cask. And while Cask is comparatively small, seating 77, when placed on the “small scale” it’s a monster. You could fit two TziN Wine & Tapas into Cask. And at least three Coffee Bureaus. It just depends on how you define small. Small can mean a farmers’ market stall or a food truck. In fact the city’s thriving food truck scene might have as much to do with a lack of appropriately sized commercial spaces as it does with the Food Network. As urbanist and The Happy City author Charles Montgomery said on a recent visit to Edmonton, “Food trucks are great, but they’re like an indicator species that says, ‘Yeah, you screwed that up’.” His point is that Edmonton has failed to offer small-scale restaurants space in the first place. Annie Parent’s cozy gift shop Habitat Etc. Starting a business, even one the size of a closet, isn’t easy. There are macro-hoops that micro-entrepreneurs have to jump through. they’d have to also add another bathroom, a physical impossibility. must have in order to open have caused many well-publicized delays for businesses, especially outside of Downtown proper, which has reduced parking requirements. The well-intentioned rule is supposed to accommodate commuter customers, but as public transit use grows and the inner city becomes more of a place to live (or a “lifestyle,” as Baroldi calls it), they’re becoming irrelevant. A pilot project will relax the rules in Oliver, on 124 St. and on Whyte Ave., but some would-be business owners would prefer none at all. Slatter, who worked on the 109 St. deal with the owners of the Common, says the fact that the restaurant and club had no parking stalls wasn’t a deterrent. The owners said they didn’t even need any—and if the line-ups outside the bar on a Friday night are any indication, they were right. In 2010, city council adopted a plan to revitalize the core through a series of catalyst projects and public investment, including attracting more residential development. According to the 2014 census, the combined population in Downtown and Oliver was sitting around 32,000 people. That’s up about 5,000 from 2008. With about a dozen residential towers proposed or in development, the population will only swell, which, in turn, could drive developers to carve out small spaces for the basic amenities their tenants will come to expect. Initial Size: 1,400 sq. ft.
First Opened: 2009 Initial Size: 1,600 sq. ft. Initial Size: 500 sq. ft.
New Size: 1,800 sq. 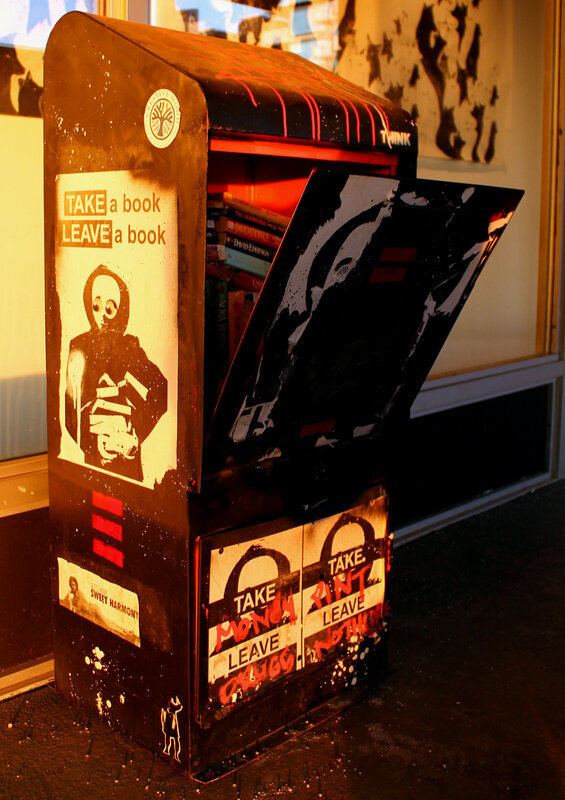 ft.
Two years ago, former Oliver resident Annalise Klingbeil was enamoured by street-side newspaper boxes filled with free books cropping up in her hometown of Calgary, and she sought to bring the global movement to Oliver under the name Oliver Little Free Libraries. With the help of the OCL, Klingbeil wrangled 10 boxes, got local artists or community members to give them eye-catching makeovers, filled them with donated books and watched it take off—beyond Oliver. Ritchie resident Debbie Forsyth was inspired by the Oliver movement and has since channelled her lifelong love of reading into setting up eight boxes in her south-side neighbourhood. Correction: An earlier version of this story stated that Klingbeil introduced the concept to Edmonton. That’s incorrect; Strathearn launched a bilingual little library in 2012. 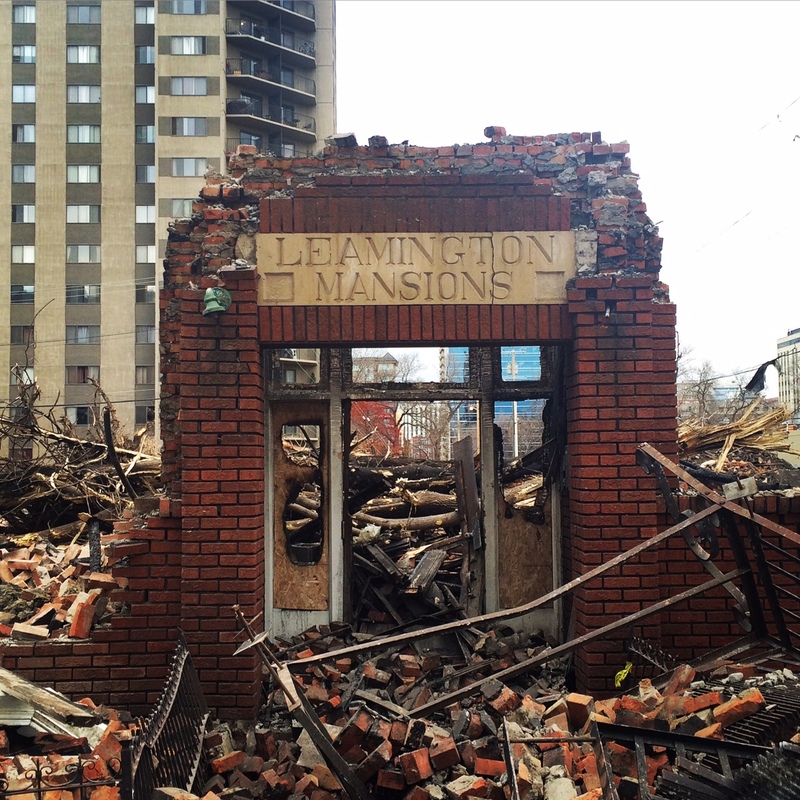 In a city bound by startling growth, it’s easy to forget the history right beneath our feet. 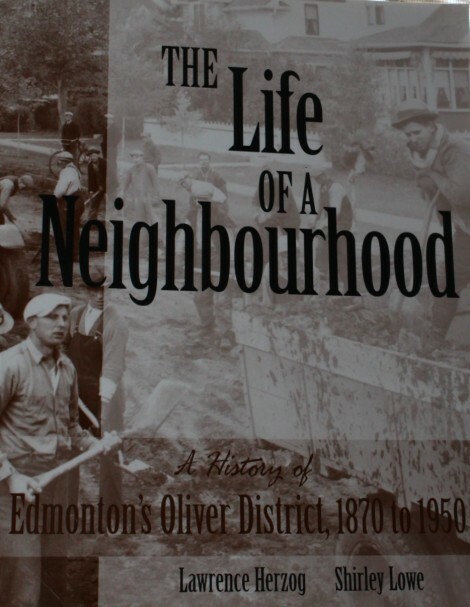 Luckily for Oliver residents there’s The Life of a Neighbourhood: A History of Edmonton’s Oliver District 1870–1950, writers Lawrence Herzog and Shirley Lowe’s 2002 biography of the community’s first post-Colonial 80 years. The softcover, perfectly bound book makes a gorgeous gift to yourself or friends. Pick it up for just $10 at any official OCL event at the community hall. 1. Edmonton General Hospital was Canada’s first to have a fully operable X-ray machine. 2. A man who was killed while working on the High Level Bridge was actually entombed in its northern-most pier. 3. Oliver School used to house a miniature rifle range in its basement so that the attending boys could get target practice at playtime. 4. The gold ceramic used in some of the mural illustrations in St. Joseph’s Basilica was originally meant to decorate lampposts in Nuremburg during one of Adolf Hitler’s many rallies. 5. Witnesses have confirmed that almost 900 swimmers would squeeze around Oliver Pool (originally “West End Pool”) at once to beat the heat. a two-bedroom. But the tables are finally turning in the renter’s favour. In the last year, vacancy rates have risen from 1.7 per cent to 4.2 per cent and landlords are now offering all kinds of incentives to anyone willing to sign a one-year lease, including a free month’s rent. Developers have finally responded with new apartment buildings. Not only has this freshened up the outmoded existing stock, predominantly built in the 1960s and ’70s, but according to City of Edmonton chief economist John Rose, it’s resulting in a soft decline of rental fees. of multifamily. Towers that up until now were likely to open as apartments may, in the end, revert to condos. As well, buildings built in the last decade have the most vacancies, according to the CMHC. Unsurprisingly, they’re also about $450 more per month. was set for a resurgence when one of Canada’s biggest apartment managers recently bought it and had almost completed renovations. Sadly, it’s gone forever. At least most of it. On the morning following the blaze, Dan Rose—a member of the OCL’s Civics Committee and founding member of Heritage Forward—worked diligently alongside the demo crew to save its stone entrance and name-plate from the wrecking ball. “Keeping those remnants around is pretty much all we can do to preserve the memories that shaped where we are today,” he says. Rose is hopeful that the artifact will be preserved by the City and landowner, and eventually reused on another building site. the sun, gardeners are beginning to envision what their flowerbeds and vegetable patches might look like come summer. But not all of those gardeners will get to make their vision a reality, as the limited garden space in Oliver’s Peace Garden Park can only provide plots to 87 residents. a site, of purchasing the land and of submitting a proposal to the City for redevelopment. “A new space would have to be facilitated by a new group of volunteers who would step forward to lead with the garden’s development,” adds Keats, who’s currently trying to source committed volunteers. Are you interested in helping start another much-needed garden? Join other community members on April 10 (details above) to see how you can help. Where’s my nearest community garden? 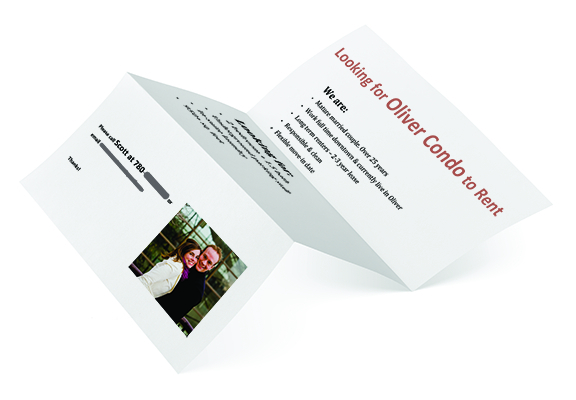 Imagine you are a newcomer to Canada (perhaps you are) and have found an apartment in Oliver. It’s not the least expensive you could find, but it’s in a nice building surrounded by big trees, shopping, transit and a nearby park for your children. You’re settling into life in Canada and are finding your way to nearby shops, but you require more support to really feel comfortable. Where do you go? Recently, a couple from India found themselves at our community hall in search of help with settling into their new Canadian lives. Residing in Oliver, they were at a loss with finding a library. And the settlement services seemed to be bus rides away. Right now, anyone in Oliver who wants these kinds of social supports will likely need to leave Oliver to find them. The nearest library is Stanley Milner. Many settlement services are located in the Downtown, Boyle Street and Alberta Avenue areas. Oliver is home to some 19,000 people—new-comers to Canada, students, seniors, families, lower-income persons, wealthy persons, homeless persons, etc. We are a small city within a city. Yet, we have very few social services located within the neighbourhood. Oliver Community League is committed to seeing this improve in the coming years. As we look for a second garden space, we are also looking at the entire community of Oliver and the needs of its residents. Is Oliver Park an ideal location for a new hall/library/meeting space? Will the Oliver Park arena remain as is or become a modern facility with social resources housed within, like a library, performing arts space, a social worker, etc.? There’s lots to look at, examine, question and plan in the coming few years. If social advocacy is of interest to you, consider running for a position on the board of directors of OCL. The Annual General Meeting is Wed., April 20 at 7 pm. Nominations are ongoing and there are a number of open positions. Anyone who is interested can inquire further at info@olivercommunity.com. Knowing that garden spaces in Oliver are so limited, our Peace Garden Park director, Justin Keats, is hosting two balcony gardening sessions on April 10, starting at 3 pm at the hall. Come learn how to turn your balcony into an oasis. As always, the Oliver Community League encourages residents to get an OCL membership, get involved and help shape our community. Happy Spring, everyone! OCL board of directors: Lisa Brown (President); Danny Hoyt (VP); Simon Yackuli (Secretary); Leah Hilsenteger (Treasurer); Curtis Boehm; Jarrett Campbell; James Eastham; Justin Keats; Luwam Kiflemariam; Rowan Kunitz; Dustin Martin; Marija Petrovic; Erin Wright; Hossein Zahiri. Email OCL or visit its website for more information. Lifelong Edmontonian Sharon Yeo has been a volunteer for almost as long as she’s called the city home. 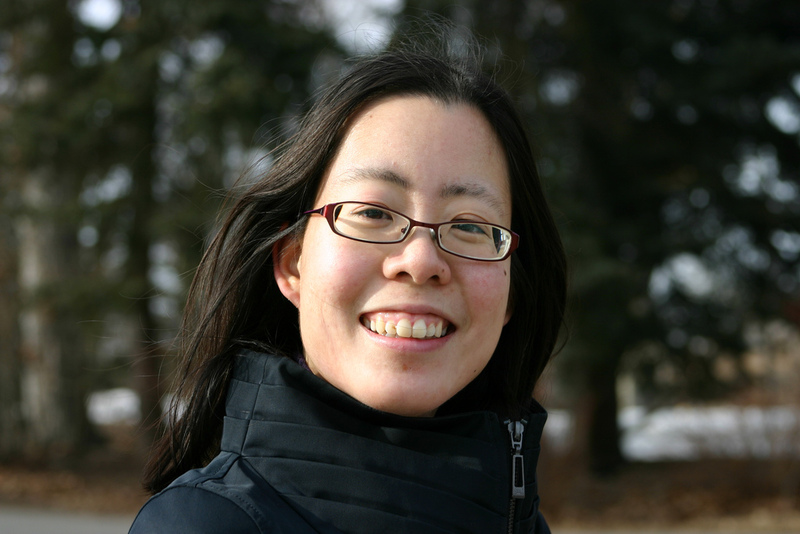 But after years of managing myriad community projects, this social worker, food blogger and serial volunteer is ready to take a step back from some of her extracurricular responsibilities, including the Downtown Edmonton Community League board, to take some old ideas off the back burner. She reflects to The Yards on the initiatives she’s helped create and build. What was the best part of volunteering with DECL? I helped with the events we put on, such as the pancake breakfast and Corn Fest in the fall, which was a great way to connect with others who felt passionately about where they lived. It definitely helped me feel like a part of the community. Many know you as co-founder of the wildly popular food festival What the Truck?!. How’d it get started? About five years ago my now-husband Mack [Male] and I went to San Francisco to attend a food truck festival. I remember thinking, ‘Why don’t we have something like this in Edmonton?’ So we took a leap and tried to make it happen here at home. Our first event in 2011 had only seven trucks. Last year, during our biggest event yet at Telus Field, we had about 30 trucks around the diamond, while thousands of people played catch or picnicked in the outfield. So many have supported it that I’m able to step away and watch the event flourish. Honestly, I was not prepared for how the people of Edmonton would open their arms to my idea. I reached out to the community leagues, which were incredibly helpful in terms of attaining space and licensing and other things I was then unfamiliar with. They were the reason I was able to make my vision a successful reality. Now that you have fewer existing commitments, what are you hoping to do with your extra time? I still want to work on my blog, Only Here for the Food. And I’m thinking of revisiting my idea of managing a Night Market in Chinatown, or updating a website Mack and I put together a couple of years ago called Blink.com, which is a place where we’re trying to re-imagine some of Edmonton’s empty spaces. But mostly, I’m planning all kinds of peaceful summer walks! Ten years ago, the young couple had fallen in love with the neighbourhood’s easy access to shops, transit and the river. 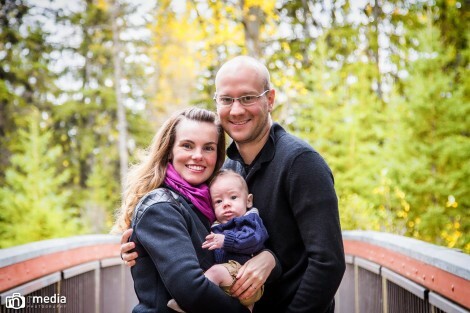 They rented a two-bedroom private suite until the condo board of the adult-only building learned Caitlin was pregnant with their son Mason in early 2014. They persuaded the board to let them stay until Mason was born, but with time dwindling and her belly swelling they had to get creative or get off their favourite street. The young couple, married in 2009, printed a stack of flyers featuring their engagement photo and a blurb highlighting their commitment to a well-maintained home, as well as their passion for living and raising a family downtown. They posted the ads on the community boards of their favourite buildings in the hopes that someone might consider parting with their home. “We scavenged the area,” she says. This method of reverse prospecting is also how they found the condo rental they were being forced to leave. But there were far more obstacles now: The need for more square footage redirected their search from apartments to townhouses, thereby narrowing their options down to a single six-unit, multi-storey complex on 111 St. and 98 Ave., just one block away. Unsure whether any of them were rental investments, the parents-to-be were willing to also become homeowners if it meant their family could grow free of a landlord’s changing whims. I’ll never forget the bitterly cold November night in 2008 when I traipsed off to city hall to a public hearing of an early version of the 30-year municipal development plan, The Way We Grow. Despite a broad grassroots lobby, there was neither mention of a food policy nor a food security agenda for Edmonton. A speaker that night cautioned that it was like a home renovation plan that did away with the kitchen. I was just one of the 550 people who crowded the council chambers and overflow rooms that evening. I was in my late 30s, and this was my first citizen act of activism. At first, my interest in urban agriculture was focused on how much and what types of food could grow in cities. I soon learned, however, that urban farms, backyard chickens, rooftop beehives and community gardens are about so much more than the food they produce. Streets come back to life. Families emerge from their homes. Strangers become friends while discussing tomatoes and basil. What begins as an impulse to get our hands in the dirt and grow a few strawberries ends up as an accessible and effective tool for citizens to change the look, feel and smell of our neighbourhoods. the river valley, as did Scottish-born Donald Ross even before Edmonton was a city. Wartime food shortages led to a flourishing of some 4,000 “vacant lot” plots rented out to locals each year—let alone the food gardens being grown in private yards in the city of 100,000 people. Community gardening roared back to existence in the 2000s when our global supply-chain food seemed starved of flavour, freshness and nutrition. 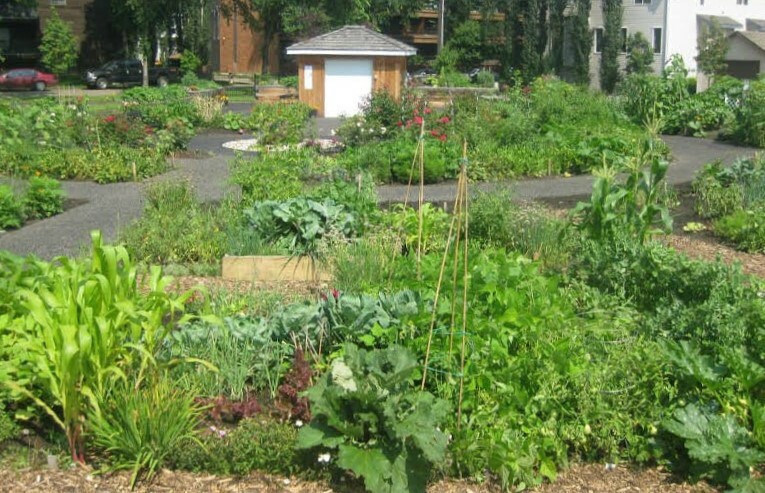 There are now some 90 community gardens in the Capital Region, and plots are still in demand. So what’s the current need in our city that growing green beans and rosemary can help fix? Right now, I’m particularly interested in how community gardens can help with newcomers. What if Edmonton also created community gardens that were not just accessible, but had places reserved for our newest citizens—a type of “companion gardening,” if you will? new country, new cultural mix and new careers. Yet studies show it can take up to 10 years before Canadian immigrants feel truly “at home” and able to participate socially and contribute economically. Even then, it is often the Canadian-born generation that has the agency and confidence for the kinds of intercultural exchanges that we pride ourselves on. This is often true of community gardens. The coveted spots are snapped up by citizens who feel entitled and sure of their place here. Yet, we all know the power of food to help us express our identity, and perhaps soothe the aches of adjustment from missing home to making our way in a new one. the teaching and directing; youth do the digging, weeding and heavy lifting. These intergenerational teams garden, socialize and cook together. There’s a gardening technique known as “companion planting.” If you plant thyme near strawberries, they get plumper and grow more quickly. Beans fix nitrogen in dirt, which corn then greedily takes up, making it more robust and productive. It’s a savvy gardener’s way of making the whole greater than the sum of its parts. What if Edmonton also created community gardens that were not just accessible, but had places reserved for our newest citizens—a type of companion gardening, if you will? Not only might it help them feel at home sooner, but we’d get to know one another over conversations around the global unifier that is food. I for one am looking forward to a few more flavours added to our city’s culinary smorgasbord.